Cut the red cabbage into very fine, thin slices – like a mandolin iron – and chop it afterwards into smaller pieces. Melt the butter in a deep pan and pour in the cabbage. Fry it over medium heat for a few minutes before adding the blackcurrant juice. Put all the spices in a large tea strainer or wrap them in a little gauze. Add the spices in the pot and make sure to poke them well down into the juice. Then cover the pot with its lid. Simmer on low heat for about an hour – remember to stir the pot a few times while cooking. Add the blackcurrant vinegar, blackcurrant syrup, salt and pepper and mix well. Warm red cabbage can be served immediately or stored for a few days in the refrigerator and heated when you need it. Note: There is a nice little touch of blackcurrant flavor. 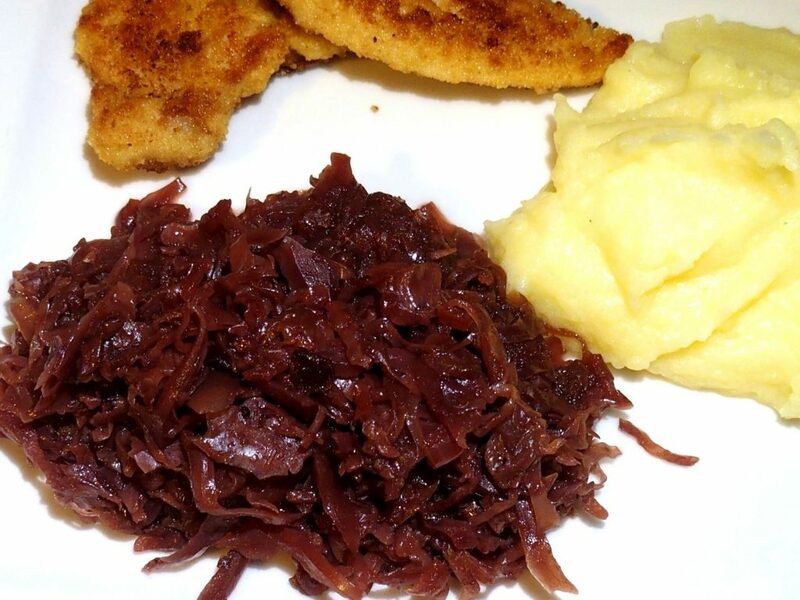 Warm red cabbage goes very well with fried duck, on its own, with roast-pork or meatballs. It is also very delicious with mashed potatoes. Big thanks to one of our Danish growers for sharing this recipe.